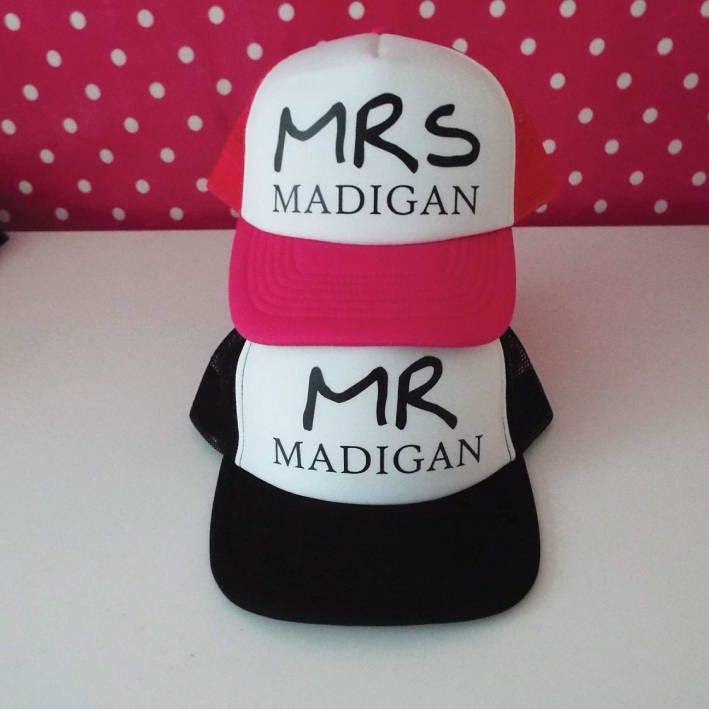 This is a Set of Custom Mr and Mrs Trucker Hats. 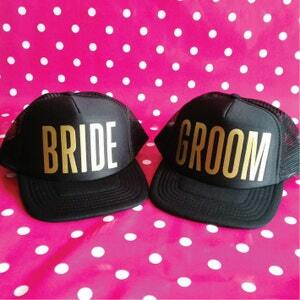 Perfect as Wedding Gift, Honeymoon Gift or wear on your Wedding Day as Photo Prop. Personalized Gifts are special and will be treasured for a long time as a reminder of this most wonderful day. Add quantity of 1 (per SET) to the Cart and write in the Notes to Seller during Checkout the Surname to be printed. Size of Name is depended on it's length and will vary accordingly. Please double check the spelling is correct as no proofs will be sent and names will be spelled as provided. Don't see what you want? 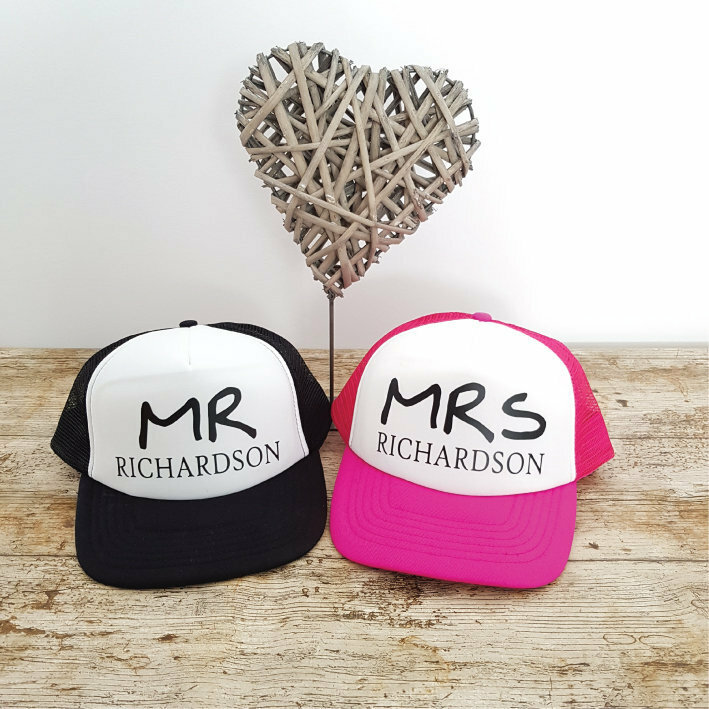 Require another design/hat colour or print? Please get in touch, we'd love to help. Vintage Snapback Trucker with padded front panel & peak and retro style snapback size adjuster on the back. Fits most sizes. Made from 100% Polyester. White front panel and coloured rear mesh panels and visor. 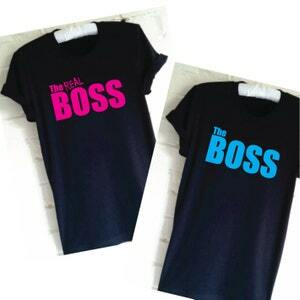 SET - The Boss Shirt. The Real Boss Shirt. Couple Shirts. Matching Shirts. 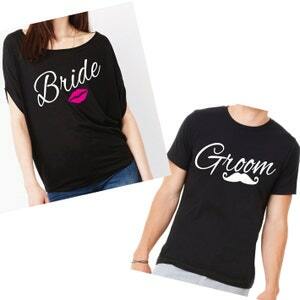 Wedding Shirts. Honeymoon Shirts. Mr and Mrs. Anniversary Gift.